Welcome at the website of Progresa. 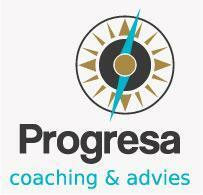 Progresa comes from the Spanish word 'Progresar' which means 'make progress'. This is exactly the goal, to help individuals and organisations to start moving (again). Progresa was founded by Karolien Kampstra. Karolien has broad experience in business (Marketing and Strategy Consulting) and worked at international, university based, business schools. Apart from her studies in business management she finished a professional training in Stress Management and obtained a Master Coach degree from de Baak/ het Europees Instituut. She is also a certified Mindfulness trainer. Progresa focuses on individuals and professional organizations. Next to personal (study/ career) coaching, Progresa develops and facilitates made-to-measure programmes and workshops in the field of stress management, communication and entrepreneurship. Programmes are offered bi-lingual (Dutch, English).